If your company currently uses several different tools for project management, MARIProject may be the ideal choice for you: As an integrated software, duplicate entries will belong to the past, and all employees will have the same level of information. Many companies use multiple software applications for customer data, project planning, time tracking, accounting and project analysis. The main downside of this heterogeneous software landscape is that data must be recorded several times – and duplicate data entries are time-consuming and error-prone. When a company grows and several employees are engaged with project management, this might also lead to confusion because it is no longer obvious which data is accessed by whom. 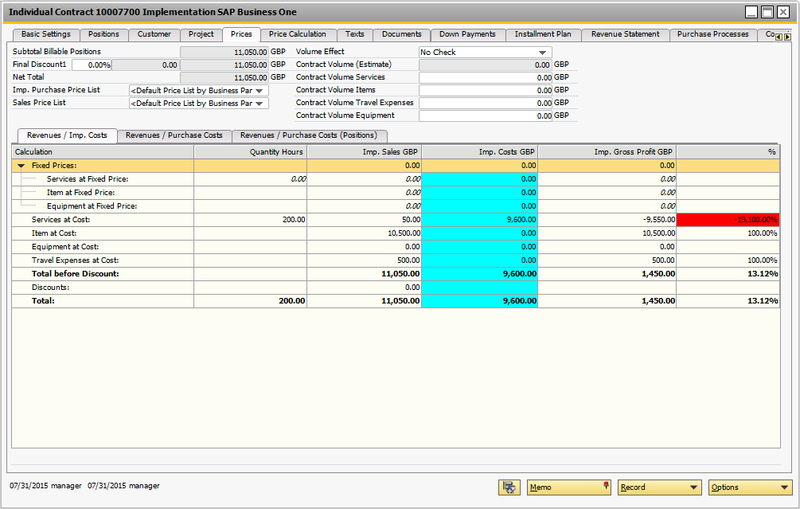 MARIProject is integrated in the ERP solution SAP Business One; this means there is one system for all data. Each employee has access to the same database; this ensures a consistent project management – whether it comes to business partner master data, project calculation, planning, resource management, time tracking or billing. The big advantage: Processes are optimised, you obtain real-time project analyses and always keep track of your projects. Learn more about the functionalities of MARIProject in this three-minute video. 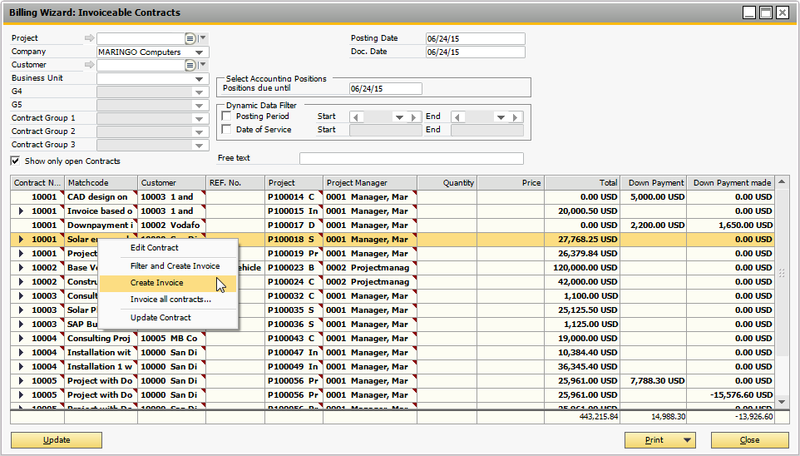 MARIProject provides reliable project calculation options: Keep track of your margin, use flexible costing methods, play through different budget versions. 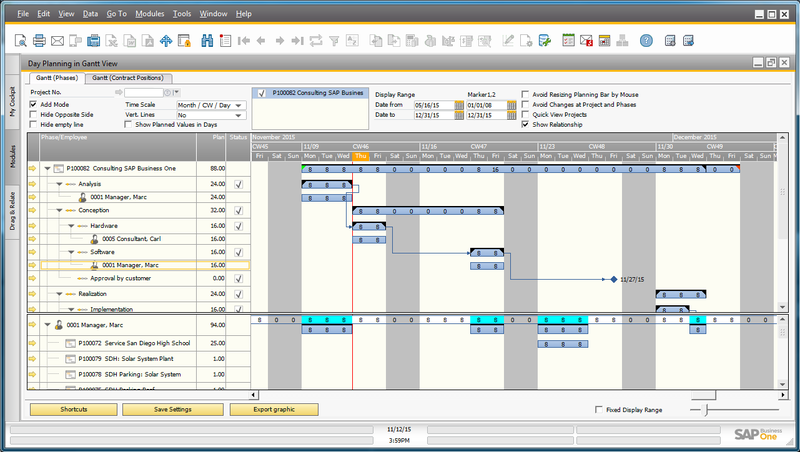 Visualise your planning data using our Gantt chart; costs and revenues are automatically calculated in the background. View your purchase status on item level and get the best prices. Track project-related hours and services; capture travel expenses and bill them internally – via internet or mobile device. 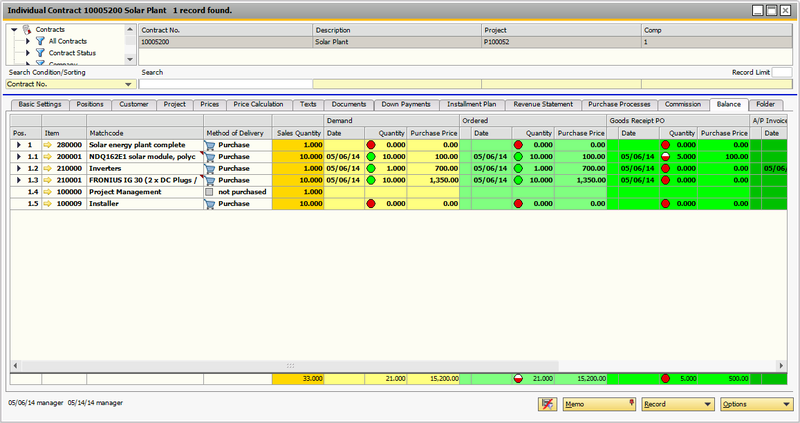 Run up-to-date evaluations and access numerous standard reports as well as user-defined reports and dashboards. Plan and bill on-site service tasks and document used materials. 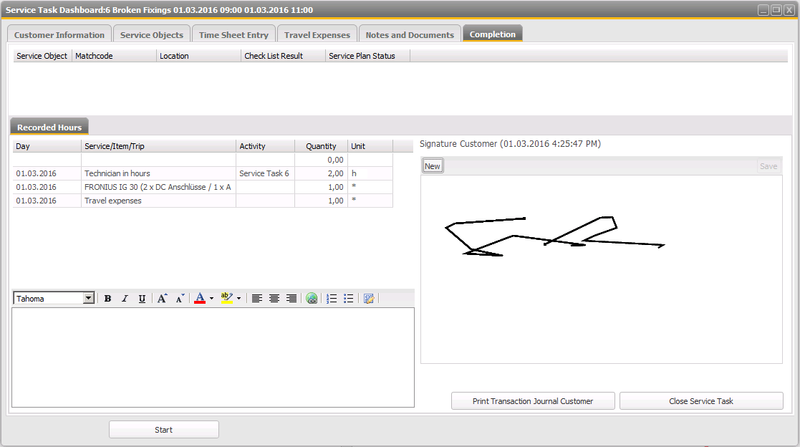 The Service Module also facilitates product and system maintenance and provides tracking options for working hours and travel expenses. The Support Desk provides 24/7 access for employees and customers: Record processes quickly, handle Service Level Agreements, add images and documents. 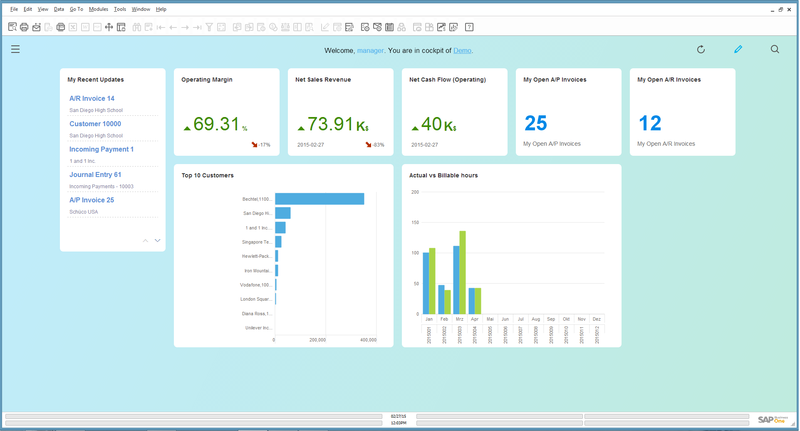 Access master data, project data, support and service dashboards. Track working hours, make approvals. Available for iPhone, iPad, Android etc. MARIProject assists you in protecting personal data in compliance with GDPR. The MARIProject Newsletter module enables you to select business partners easily and provide them with relevant information. 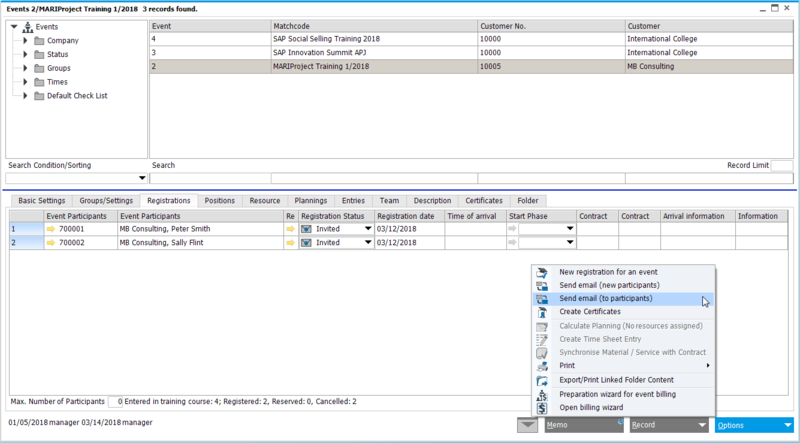 Organise and realise professional corporate events with the Event module in MARIProject. What version is suitable for you? With the OnPremise version of MARIProject, you acquire software licences that are maintained with your business data on your premises. The employees with an appropriate permission have access to the business data and are able to add new data by using their mobile devices. 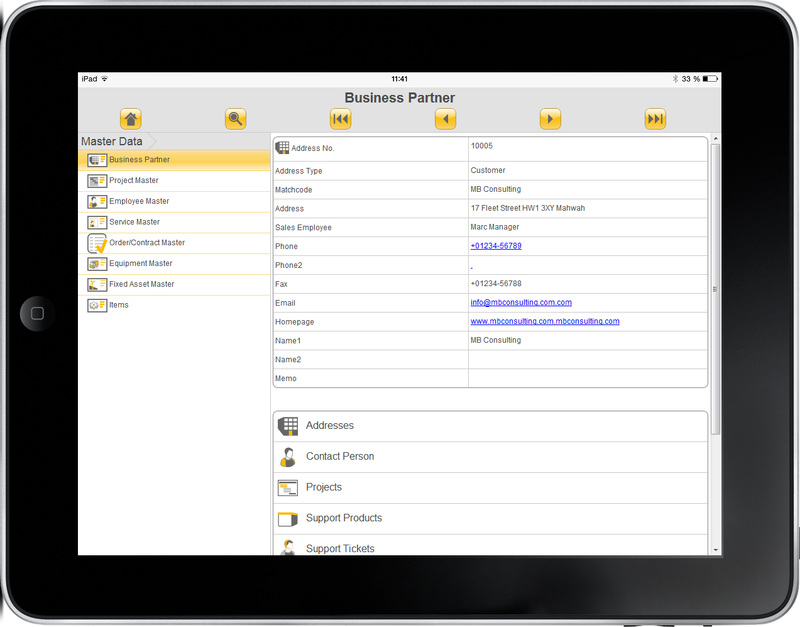 If you decide to run MARIProject and SAP Business One as an on-premise solution, you will manage all software updates by yourself. MARINGO provides the necessary upgrades. The sales price is based on the number of licences and the software maintenance agreement. 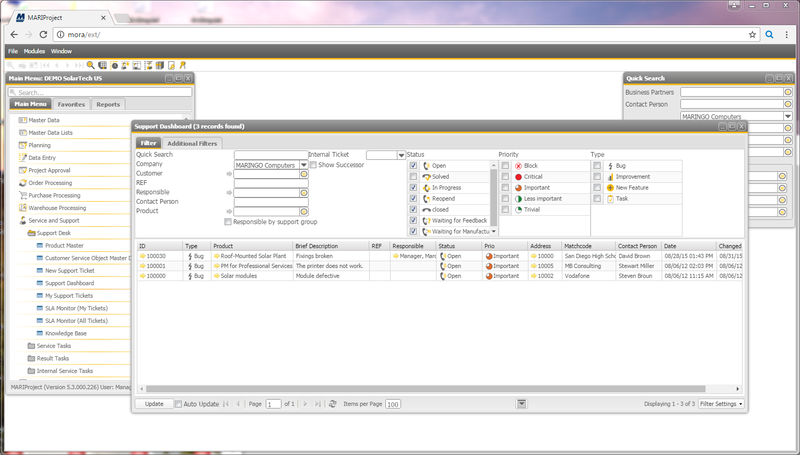 It is also possible to run MARIProject “on-demand” as a so-called cloud solution. 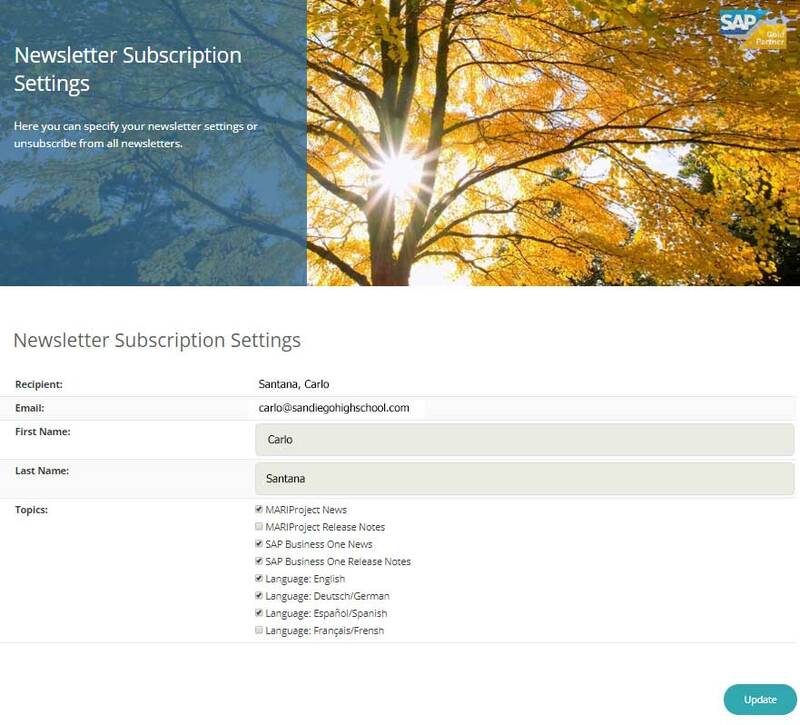 This means SAP Business One and MARIProject including all business data are installed at a hosting provider and are maintained (hosted) by this provider. It is possible for your employees to access the data via computer, laptop, smartphone or tablet. So you can focus on your core business activities not servers, hardware or software to maintain. The calculation of the price for the on-demand version is based on a monthly rental fee per employee plus installation costs. 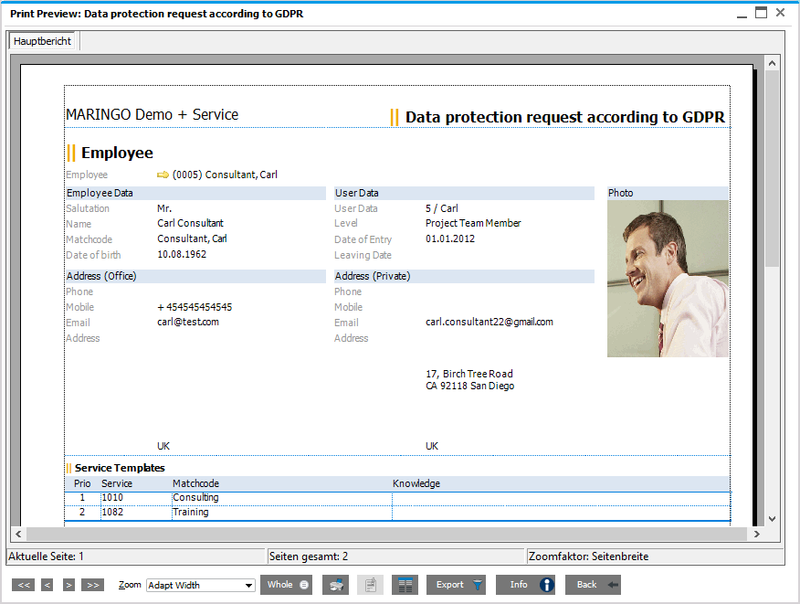 MARIProject and SAP Business One are even more powerful thanks to SAP HANA. 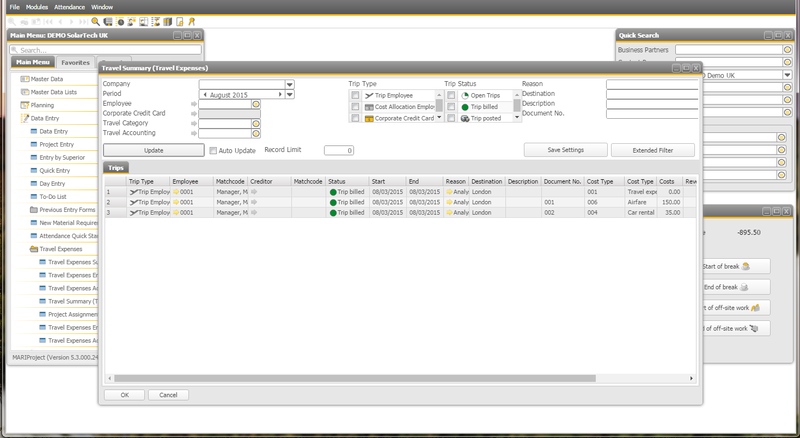 The in-memory technology accelerates data retrieval and provides graphical reports within seconds. Special hardware is required for the in-memory technology. Experience has shown that trying out the software is easier if you know the software’s concept. Therefore, we will be pleased to present you MARIProject in a web session free of charge. On this occasion, also questions can be quickly clarified. Please contact us! What costs do you have to expect? The costs for the introduction of MARIProject and SAP Business One in your business consist of several components: licence fees, implementation costs, migration of data and customisation to existing solutions if necessary and employee training. The challenge is to find the solution (OnDemand, OnPremise or SAP HANA) that best suits your needs and pays off quickly for your business. Please contact us to find the right solution for your business. We will be pleased to help you identify the best solution for your individual needs. You are interested in the costs for the implementation of MARIProject in your business? Contact us for a quote!